iPython's "timeit" function is hardly the last word in benchmarking, but it can be very useful if you're thinking about Python applications. Raspberry Pi is very powerful compared to Arduino, say, but very slow compared to modern desktop machines. 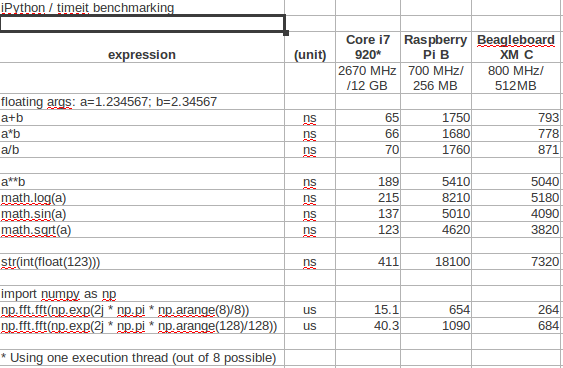 No surprises, but I haven't seen relative benchmarks before.